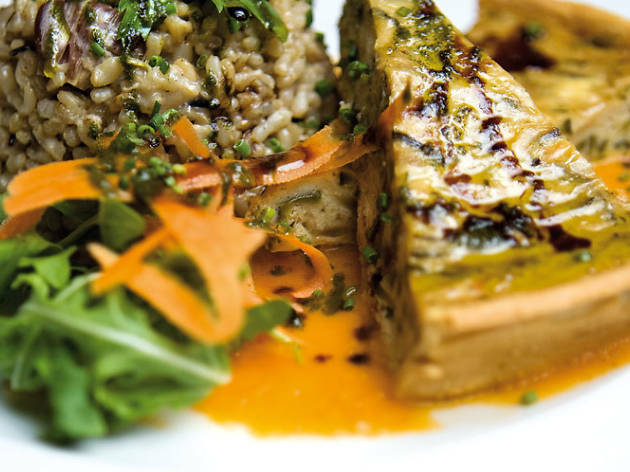 Need a good vegetarian recommendation? With the veggie scene becoming increasingly popular in Barcelona, asking this question is like asking for the best Bob Dylan album. However, we've got a list of the top restaurants, with a good balance between modern vegetarian dishes and classics that are still everyone's favortie go-to. 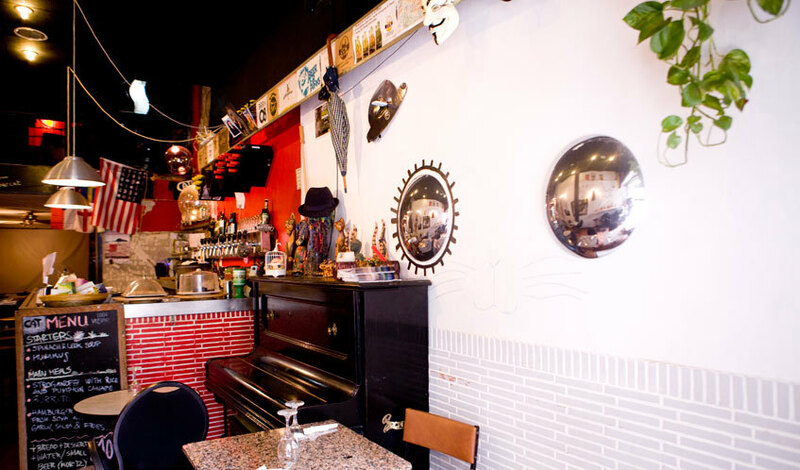 If you're looking for vegan friendly places or veggie tapas with craft beer, be sure to check out this list. 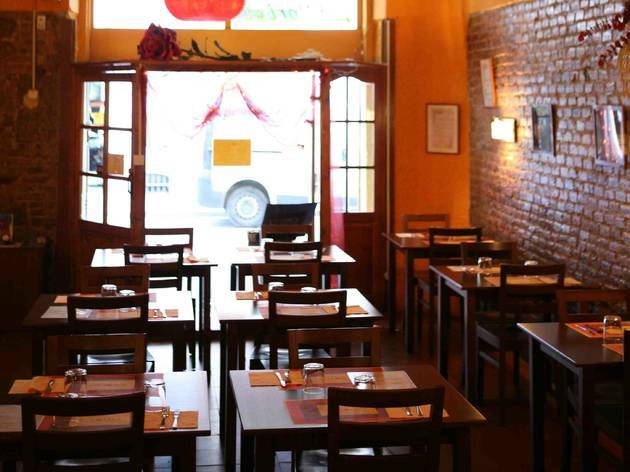 The best thing you can say about a vegetarian restaurant is that it doesn’t look like one. 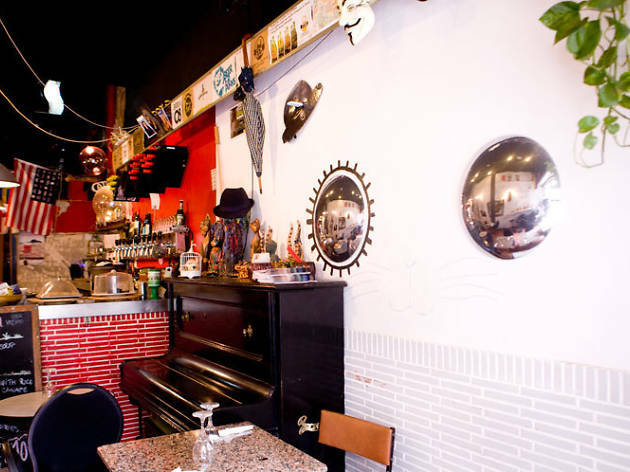 Here they offer a lunch menu featuring imaginative, tasty, nutritious dishes such as beans with cream of polenta and sage or home-made stuffed pasta, and always with an aperitif tapa included. 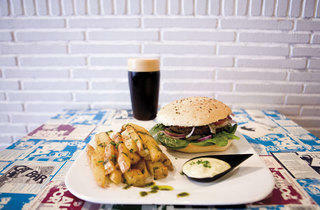 In the evenings they unveil a range of tapas such as papas arrugas, Argentinean pies, burritos and fajitas. A small, well-chosen selection of wine and beer is available. 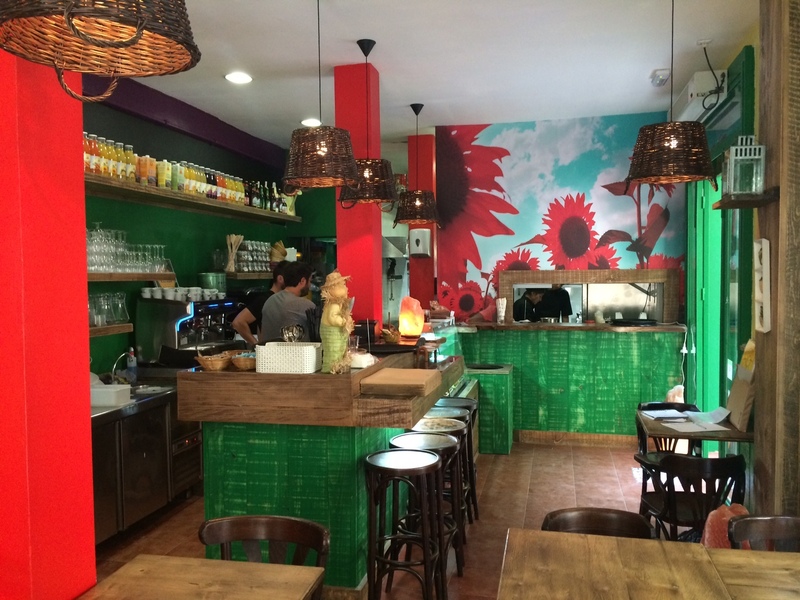 All vegetarian restaurants want to have that certain something that sets them apart, and this one truly does: their recipes, half-traditional Catalan cuisine, half-haute cuisine, are surprisingly tasty and free from vegetarian dogma. 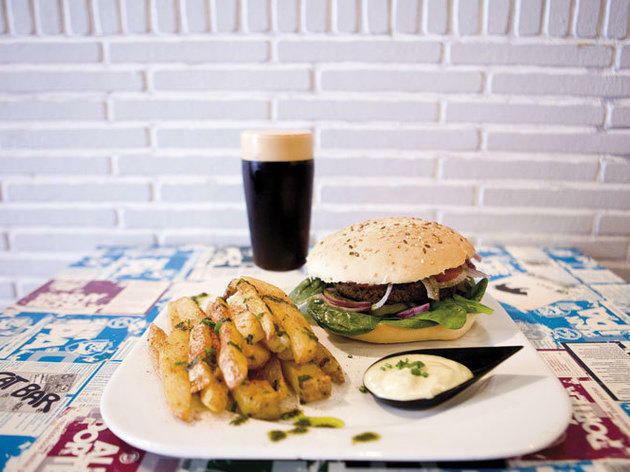 Try their meat-free faves a la catalana or the timbal d'escalivada and see for yourself. A bonus: the wine cellar is very good. 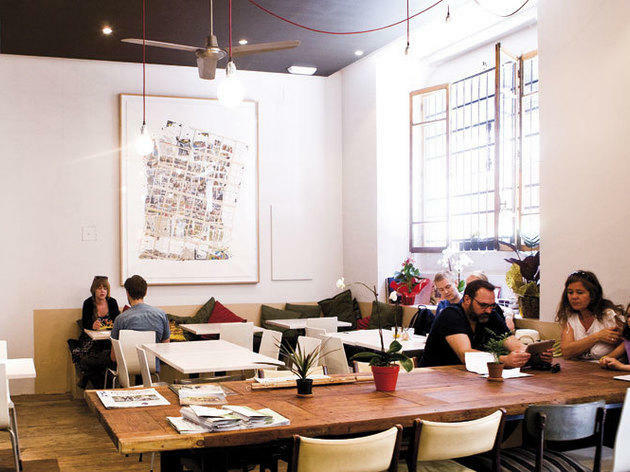 This phenomenal vegetarian restaurant, owned by the presidents of Slow Food Barcelona, is open for lunch and dinner. 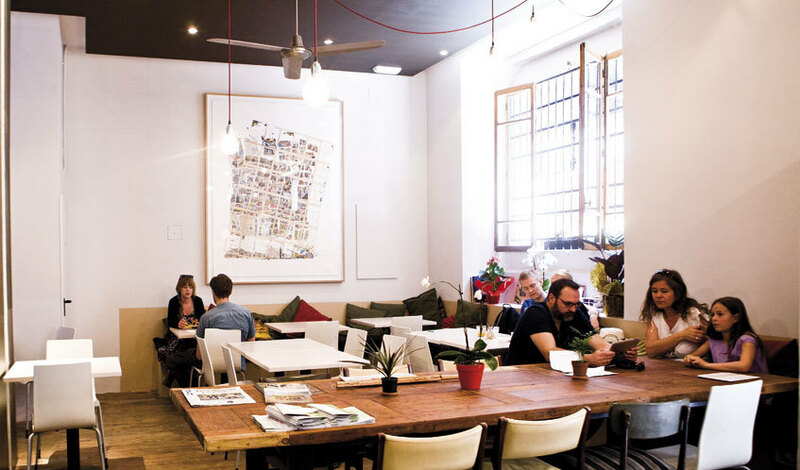 At noon they have an affordable menu with soups and dishes that diveate from the traditional vegetarian path – that is, with a lot of imagination and using rediscovered recipes. 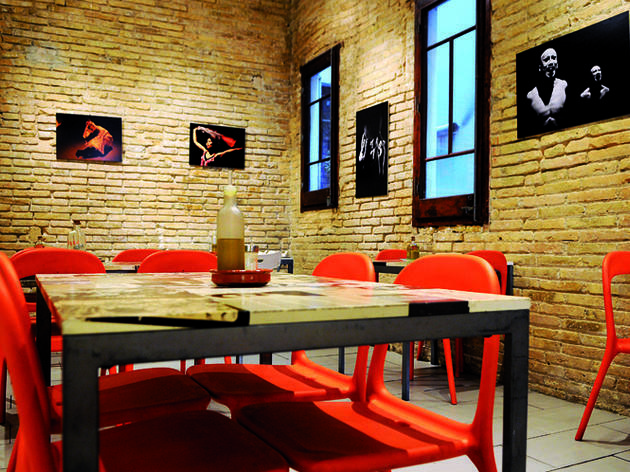 At night they have homemade pasta dishes and international cuisines that pair nicely with the wine and craft beer. You certainly won't be bored with this vegetarian meal. This ambitious space brings together the trends of healthy cooking such as raw vegetables, vegan options and gluten-free dishes to create a nutritious meal. 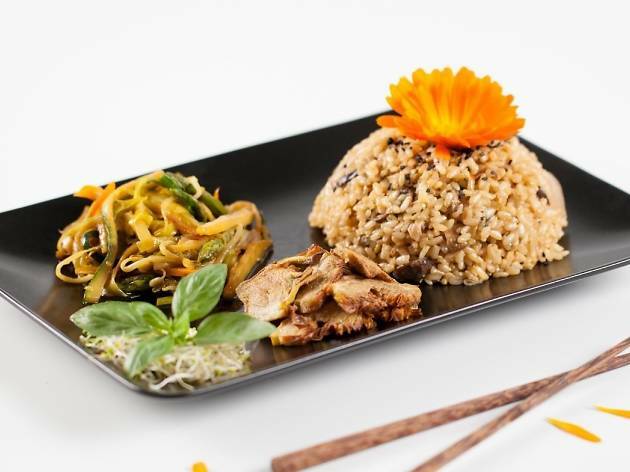 Their dishes are defined as 'flexiterianos' -vegetables with small amounts fish and one of their distinctive features are the 'superfoods' (foods that have a lot of nutrients), such as spirulina algae. They also have cold pressed juices made from multiple vegetables. Be sure to stop by for lunch, dinner or brunch on the weekend. 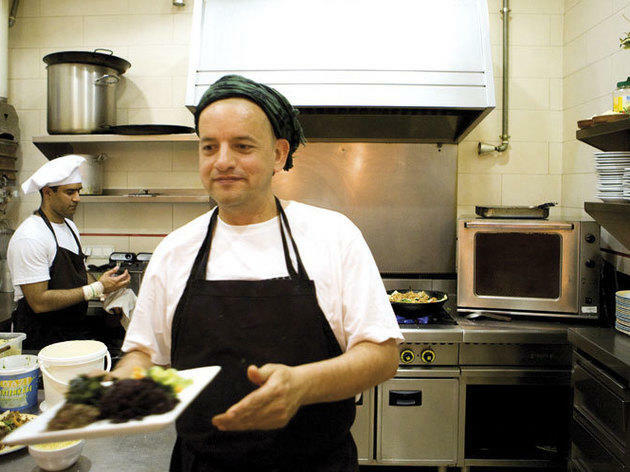 Wanting to create a restaurant for everyone and not just vegetarians, the owners focus more on the vegetables than calling the restaurant vegetarian. 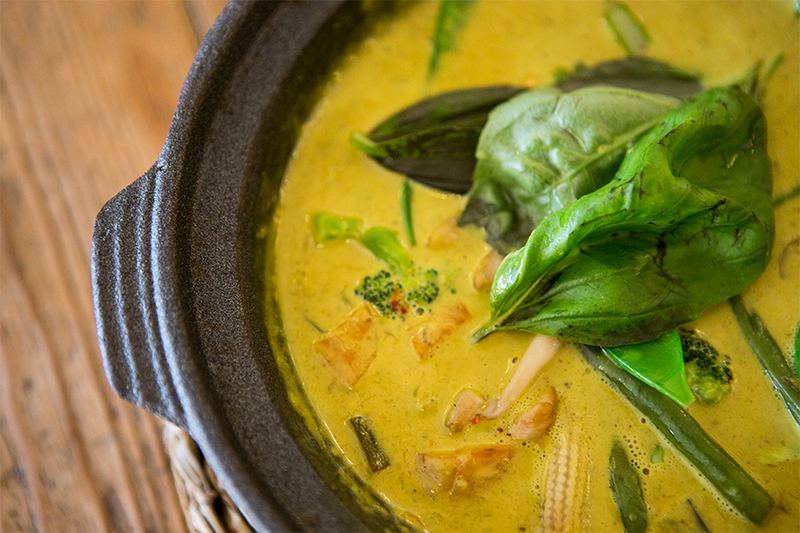 The recipes are from around the world and are reworked to incorporate the vegetables. 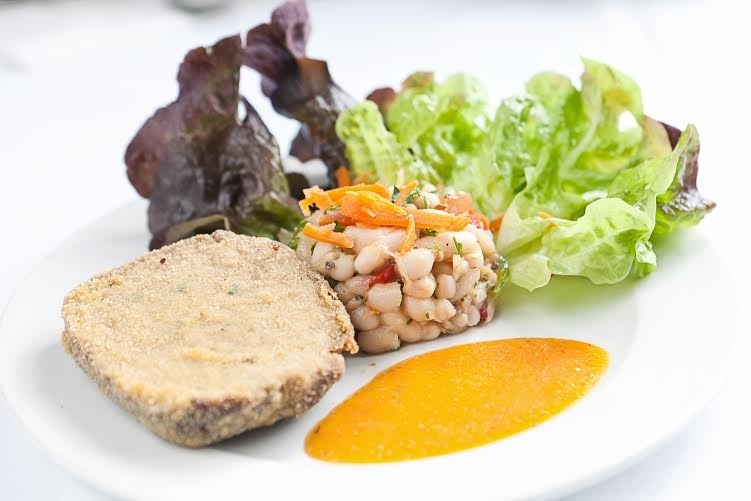 All of the dishes are flavourful and fun and are made from legumes, seeds, nuts and herbs. 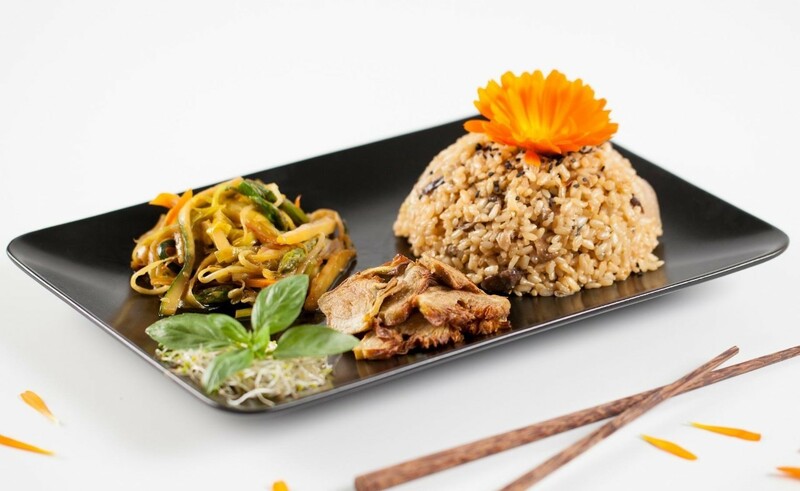 A discreet portal takes you to another world at Macrobiotic Zen. You choose between five main ingredients (two types of vegetables, legumes and salad) and the garnish. 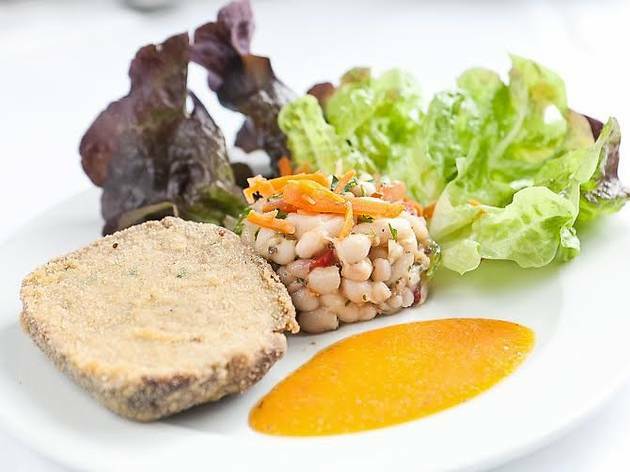 All items are vegan and macrobiotic and create delicious platters like ravioli stuffed with artichoke, tofu and artichoke stew and roasted pumpkin with avocado and beans. Finish off your meal with the banana cake and you’ll leave feeling healthy and full. 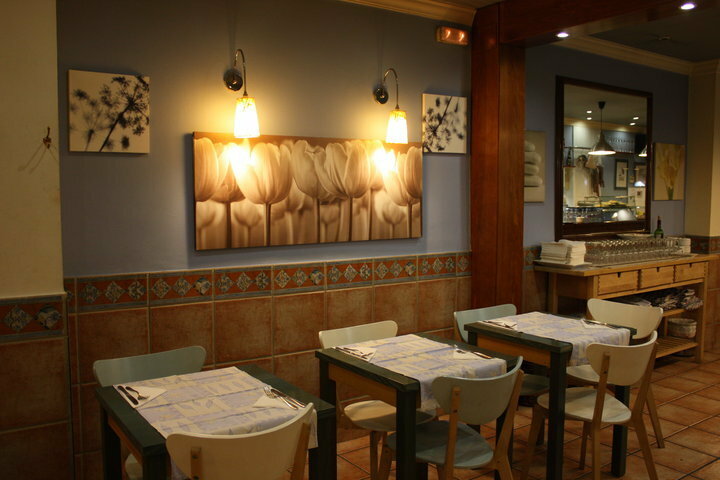 A Barcelona classic with over 20 years of experience is a haven of peace and quiet. This neighbourhood brings in a variety of customers: CCCB employees, locals of all ages, trendy types who have just arrived in town... But all who visit this family restaurant can enjoy a meal in the calm and mutual respect that fills the place. 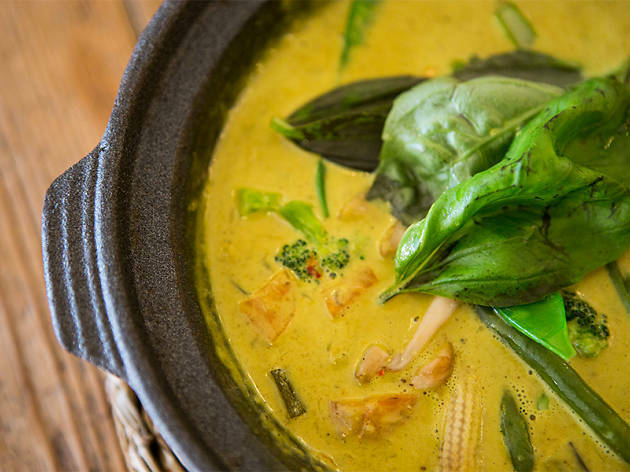 They offer traditional vegetarian cuisine as well as vegan options, all made using the best organic produce. 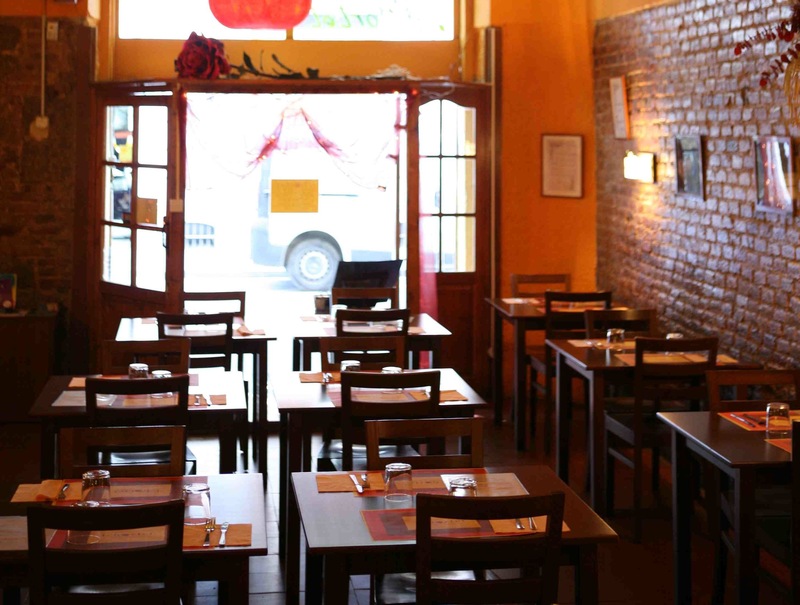 Biocenter is a pionerring vegetarian restaurant in the city and has been going strong for 30 years. When you enter you have the feeling that it's not a restaurant that's just for vegetarians, but for anyone who wants to eat well, with generous portions and healthy options at an incredibly good price. 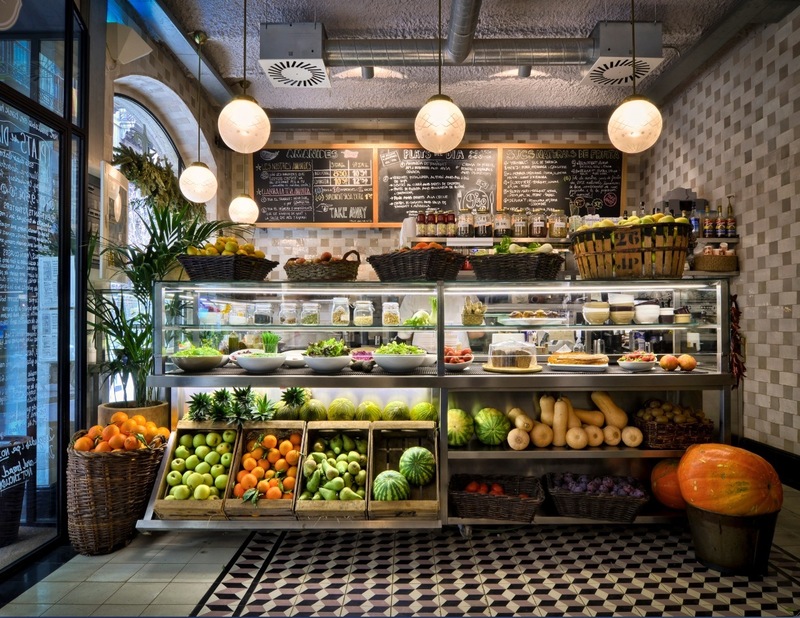 In addition to a quality range of vegetarian and vegan options for traditional and ovo-lacto-vegetarians, it's worth noting that they use all natural and organic products. 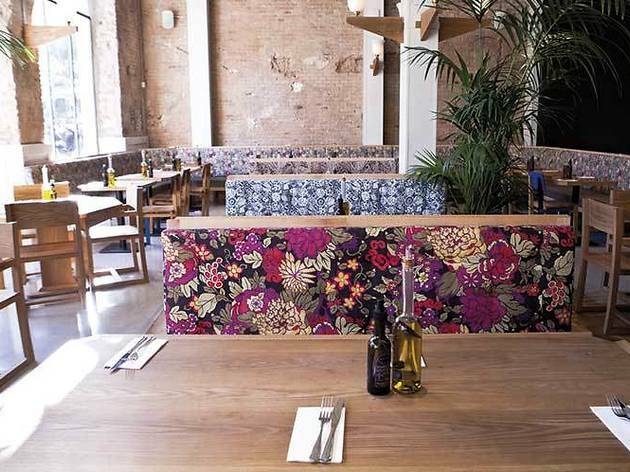 This vegetarian restaurant is also a lively drinks bar where they serve a range of good wines and snacks. At the back there’s a cosy little room that’s ideal for quiet, romantic dinners. 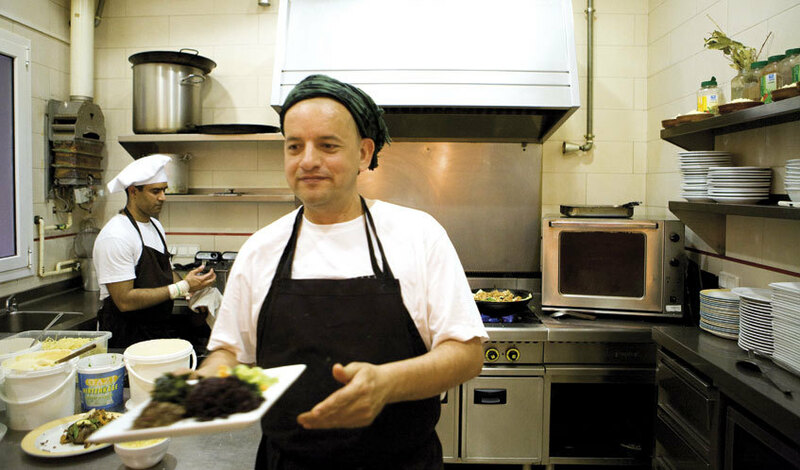 They serve international specialities with a bias toward Italian food that brighten up the concept of vegetarian cuisine, though there aren’t many options for vegans. Behind the rather hippie-ish name (it means 'Rainbow') lies a small, bistro-style family restaurant that is well-lit and lively. Maybe it’s because of the location (lots of offices and businesses nearby), or its simple, tasty cuisine (salads, soups creams, plus vegan options), but the fact is, at lunchtime there aren't many empty tables. People on a lunch break have to get back fast, though, so just have a seat and wait a bit for the good food. The third Flax & Kale is monumental. 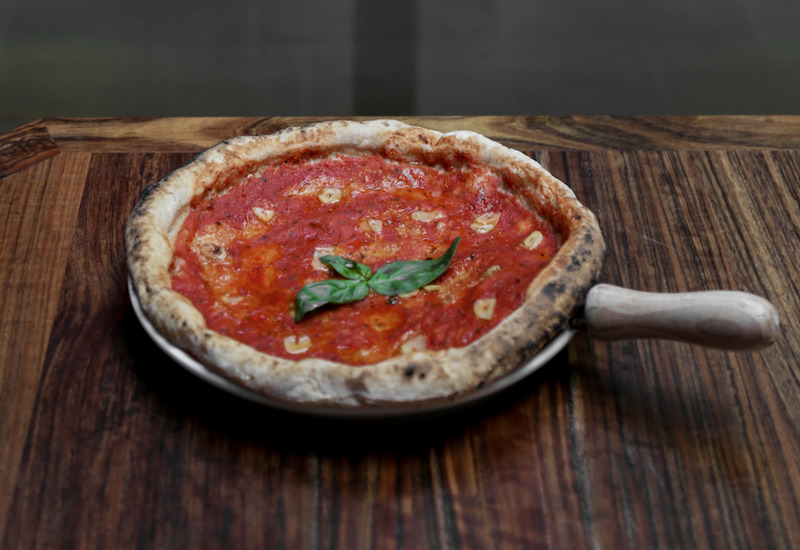 Divided into two rooms, there is a ‘healthy’ theme that encompasses the space, but the heart of it is an oven that helps create the future of healthy Neapolitan pizza. 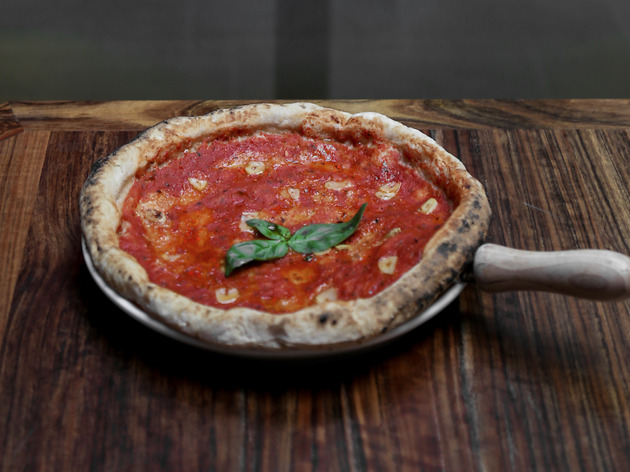 The owners went to Naples and learned how to create pizza dough that is not only pleasing in texture, but friendly to those that can’t eat traditional pizza dough. The taste is unique but you’ll be surprised at how good the pizza turns out. 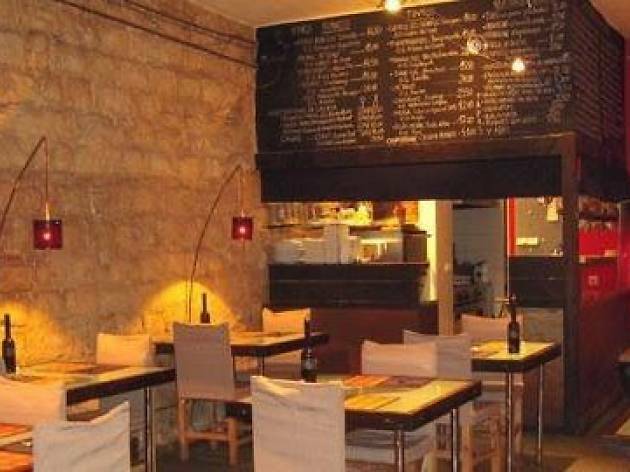 This place serves food to cover all tastes and preferences: lacto-ovo-vegetarian options, vegan meals, and even some dishes for non-vegetarians. There are no strong flavourings (i.e. vinegar, sugar, salt) and they serve low-alcohol drinks. 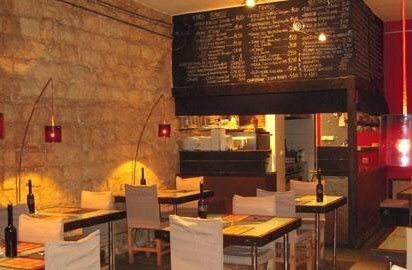 Though the restaurant is in a big space, it’s usually full, as everyone can find something they like. In the back there’s a room where they hold yoga and tai-chi classes. 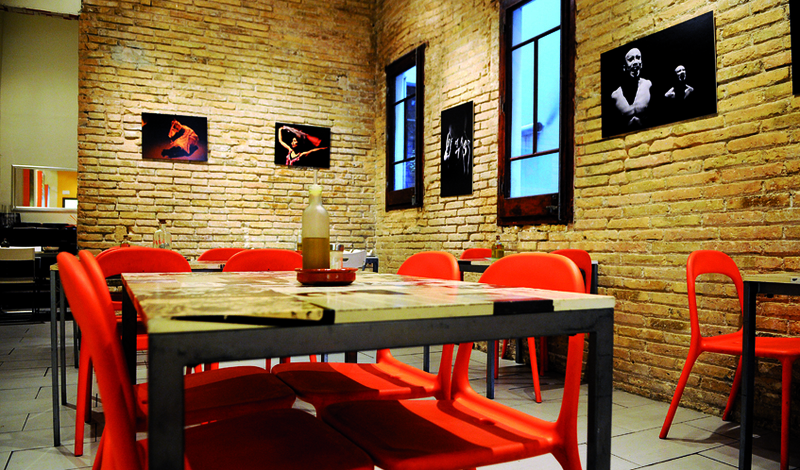 La Vitamínica is a place with personality. 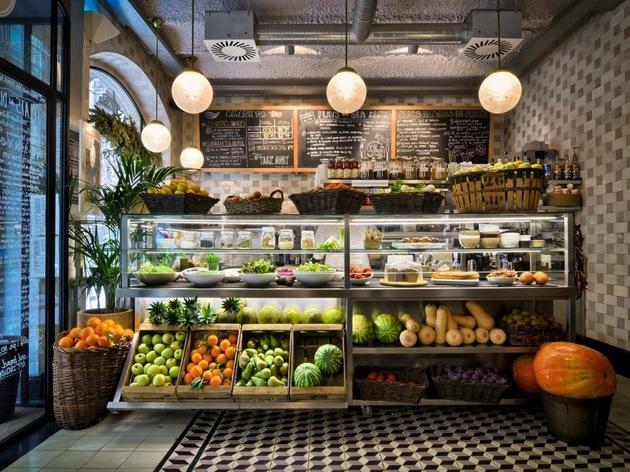 As soon as you come in, you get the feeling that this is not the sort of restaurant where they are preachy about vegetarianism, and you’d be right, seeing as part of the bar is devoted to serving sandwiches for omnivores. 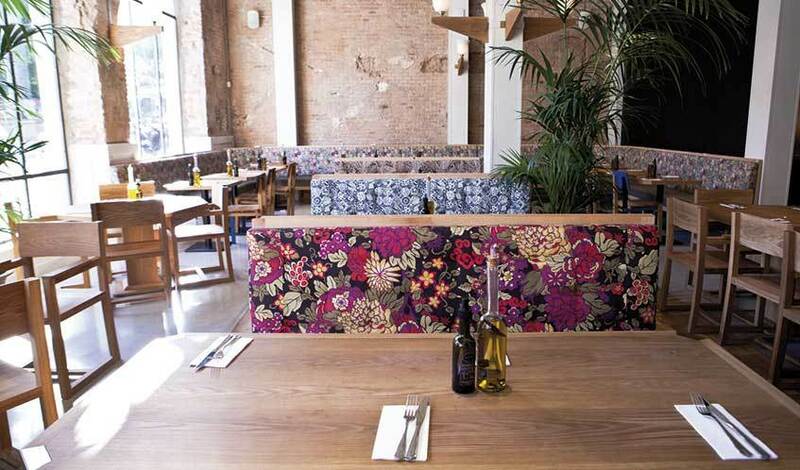 Meanwhile, in the dining room they serve a lunch menu that is entirely vegetarian, and well worth trying. It all started as a business dedicated to producing natural, organic vegetarian food, and now it has two restaurants in the city. All the food comes from the earth, it’s grown by farmers and then sent to your plate. 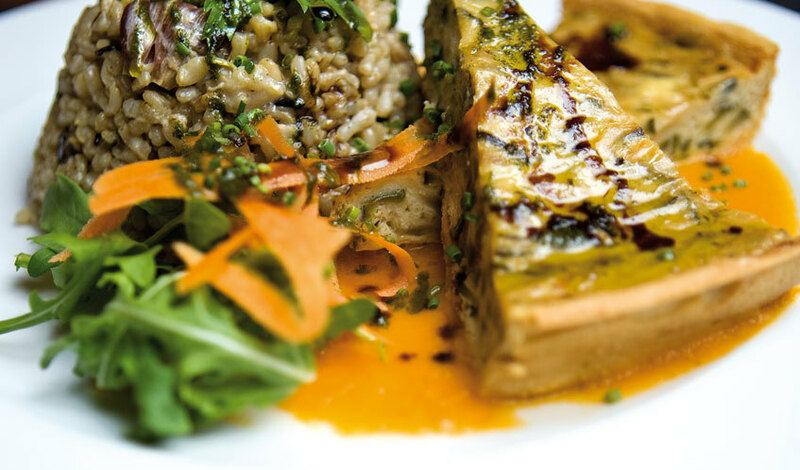 For €20 you can sample a whole range of tasty, imaginative dishes, some of them vegan. For dessert, choose from the different cakes displayed at the bar – they’re simply irresistible. 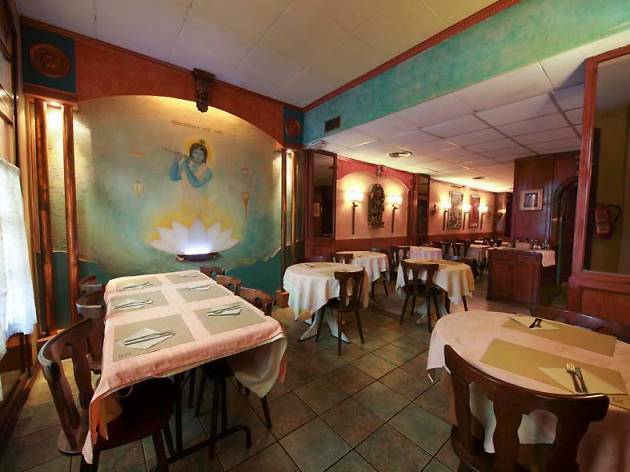 It’s hard to imagine what the locals must have thought when this place opened in the mid-1980s – an Indian-style vegetarian restaurant that didn’t serve alcohol! In addition to their fine selection of Indian vegetarian specialities, they also have pizzas and a salad buffet. There are vegan dishes as well. Be careful when you order, because the portions are very generous.